This week has marked the 66th anniversaries of 2 watersheds: on Tuesday, the U.N. General Assembly’s adoption of the 1948 Convention for the Prevention and Punishment of the Crime of Genocide, and on Wednesday, the same assembly’s adoption of the 1948 Universal Declaration of Human Rights. Together, they form 2 essential pillars of post-World War II human rights and human security. 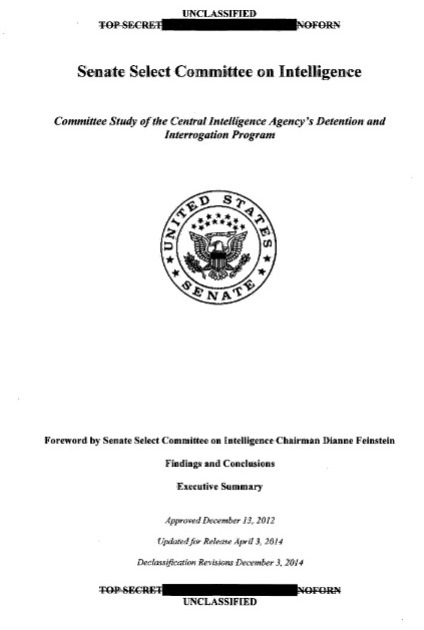 This week also marked the release, on Tuesday, of the 524-page executive summary of the Senate Select Committee on Intelligence Committee Study of the Central Intelligence Agency’s Detention and Interrogation Program – a study that, in full, spans 6,000 pages. I was honored by an invitation to contribute my thoughts on the release of this so-called Torture Report to The New York Times‘ online Room for Debate forum, and so on Tuesday published an op-ed entitled “Officials Must Be Held Responsible for Torture.” Joining me in this forum were Hina Shamsi of the American Civil Liberties Union, Danielle Pletka of the American Enterprise Institute, Georgetown Law Professor David Luban, and Texas Law Professor Robert Chesney.